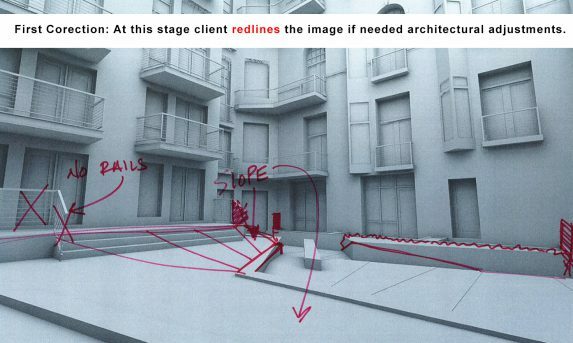 Look at our step-by-step 3D rendering process to understand the process involved in generating an incredible work of art! The process of rendering begins when you request a quote. Once we receive your request, we will get in touch with you within 24 hours to talk to you and learn about your 3D Rendering and Animation needs. Architectural Data – This data includes: floor plans, elevations, and sections of your project. The data you send can be in any format, CAD is preferred. 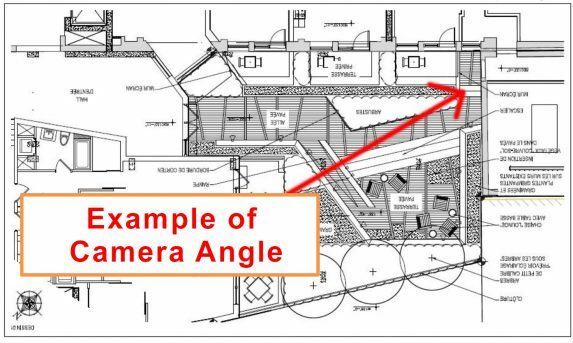 Camera Angle – Send us the desired camera angle marked in the floor plan with the height from eye level, Birdseye, or any other custom height (EX: Camera height = 6’-2”). Landscape Information – Give us the information about the surrounding area with Google earth location, environment, pictures, etc. Colors and Materials – Provide detailed information about your brand, manufacturer, finishes, etc. Vegetation – If you have specific vegetation on or around your project, give us detailed information including the names of the plants. You must also send us pictures of the plants for accuracy. Furnishing Information – We require images for the furnishing style you want for the interior. In case you need custom furniture, make sure you mention this during the quotation stage so we can make necessary amends. We also require the name, model, type, and manufacturer of the furniture. Resolution – Depending on the use of our products you will require a smaller or larger resolution. Whether you wish to display on your website or print a large poster, we offer it all. All you need to do is notify us in the beginning of the project. 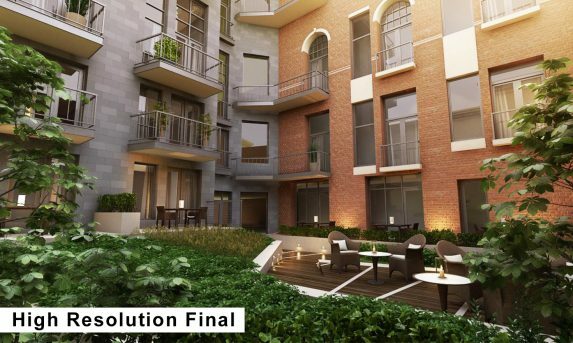 Once we have received a complete architectural package, we begin the 3D architectural rendering process. We will render low resolution grayscale images for you to review. 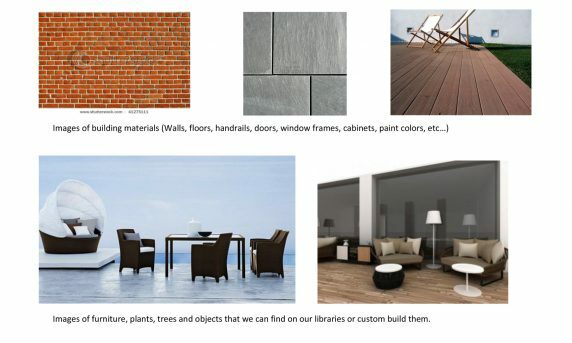 With the help of this image, you will get a complete idea of the architectural details in the project. 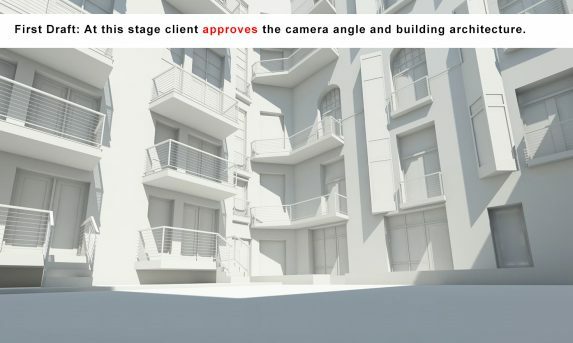 Once the 3D Modeling process is approved, we begin working on the details of your project. This stage is quite crucial because with our extensive Furniture Library, the project comes to life. Once our professional designers complete the detailing stage, they will send you a full color “Preview” of your project. This image will include the final lighting and textures for your approval. 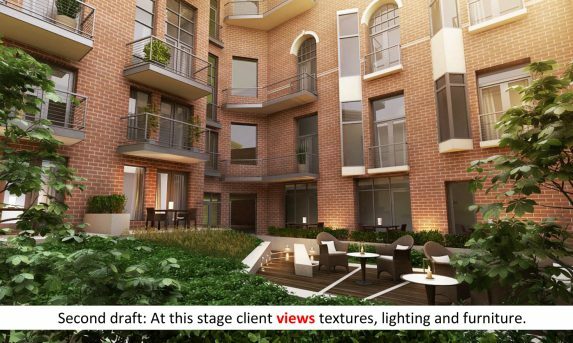 Once the Preview Rendering has been approved by you, we will start the High Resolution Rendering process. This process is an essential final step to give your images the right kind of enhancements. You will be provided with hi-resolution images of the project to head into post production. *Please note that at this stage and any request for changes in previous steps will only be valid with additional charges. If you have deadlines to meet, please let us know at the beginning of the project so we are able to meet your expectations and deliver you the final product in time. (We always deliver On-Time) When you enter this step, you will receive a hi-res image of the project via your desired delivery method including WeTransfer, email, Dropbox, etc.